And we have to remember that it's a teaser. It's meant to tease. And I think that it partially achieves its purpose. But it does give me hope that Andrew Stanton has gotten it right. I like various elements, but feel that the marketing campaign has got their hands full. Like many people I've heard from, this is based on a classic that is a hundred years old (next year). But there are many things in this that are going to seem as though they are stolen from "Star Wars" or "Avatar." The opposite is true. But I think marketing are going to have to address this. From what I know, everyone associated with the screenplay viewed this as a labor of love. I'm going to cross my fingers and put my confidence in them to faithful put my and other geek/fanboy's dreams on the screen to Barsoom. Darn good looking trailer. I consider my status elevated to cautiously optimistic. This looks really good. I hope it makes for a successful series. Looks like Mars to me. Stanton totally ripped off Cameron and Lucas with this. Can they sue him for theft of originality? I think they'd have a great case. Yeah um Jake... Lucas and Cameron ripped off Edgar Rice Burroughs. 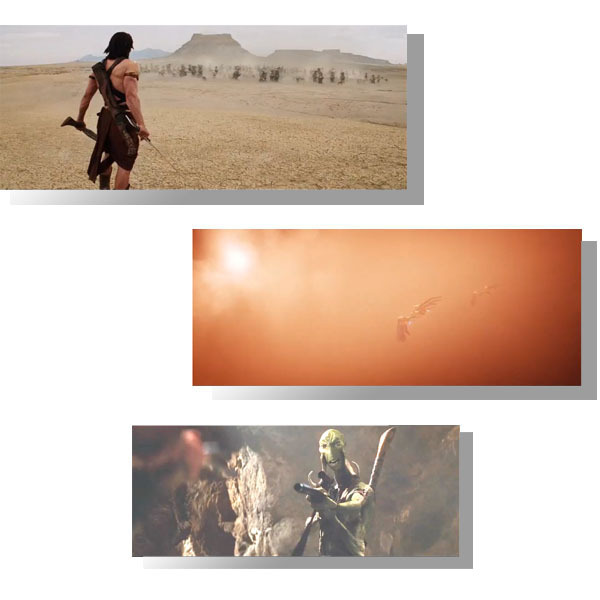 I'm still pissed the title is John Carter. 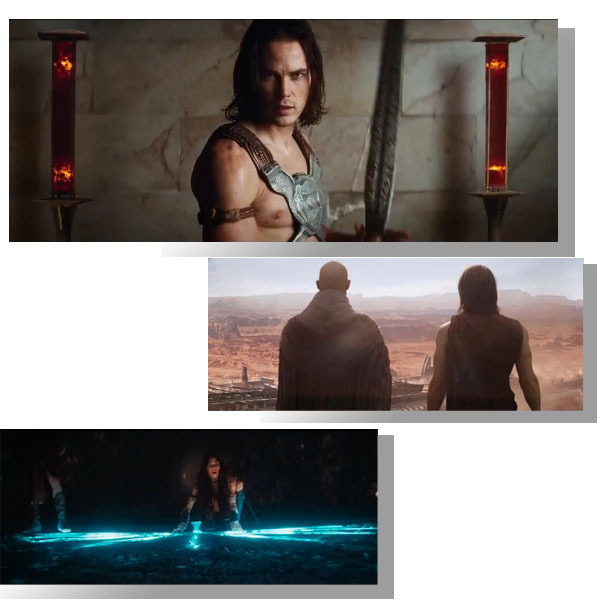 It needs to be John Carter of MARS! Come on Honor, tell us what you like and dislike about the trailer. How does it compare with what you were imaging the movie might be like? While I can't really accept the notion that this film was a deliberate rip-off of Avatar or Star Wars, the first thing that hit me when I saw the trailer was "AVATAR". So, in spite of intent, it's the impression that comes across. To me it looks like they're reusing the sets and costumes from "Prince of Persia". Then you have very bad eyes. I guess if someone has a sword and you see a desert then you see the same thing. If anything, it has a steampunk feel to the tech, which is cool for me. It looks like Stanton is trying to be faithful to the material with the exception of the terrain not as red as some would have liked. How does calling it simply "John Carter" make any sense ? The "of Mars" is what makes the commonly named John Carter distinctive. 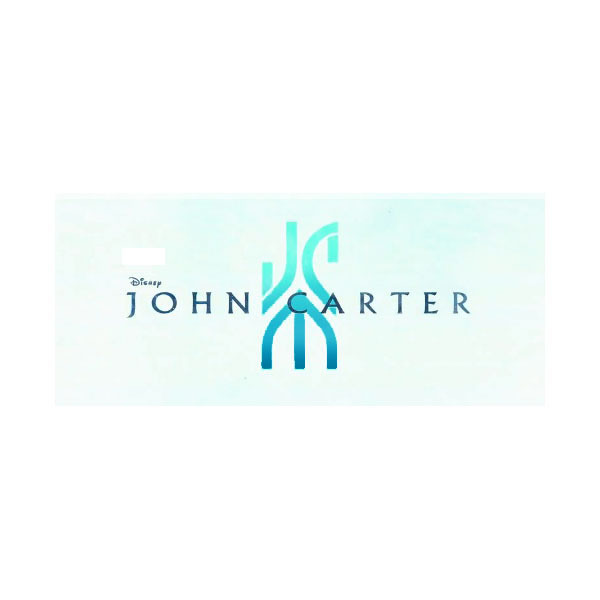 I'm sure if the marketing bozos at Disney could shave it down to just a one-word title like "John" or "Carter" they would do it , but maybe even they aren't that stupid. The books are hardly "classics.". They were a marketing ploy to make money-- not particularly thought out or well written, with weak characters and resolution. That doesn't meant couldn't, inthe right hands, make a fun kid's movie. But let's face it, andrew Stanton is NO Brad Bird. The books were pulp science fiction for their day. They inspired many from astronomer Carl Sagan to director George Lucas. They were hardly a "marketing ploy" and I'm sure Burroughs wrote them as pure escapist fantasy.